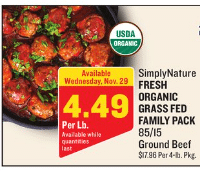 Aldi has the best price seen on organic, 100% grass-fed ground beef at $5.29 lb. But, this week, while supplies last, they’re beating their own price and offering this organic, grass-fed beef for $4.49 lb. when you buy the 4 lb. family pack for $17.96! This is such a great price for this type of beef, so head there quickly and stock up as they only carry a limited supply per store. While you’re there, pick up 2 lb. 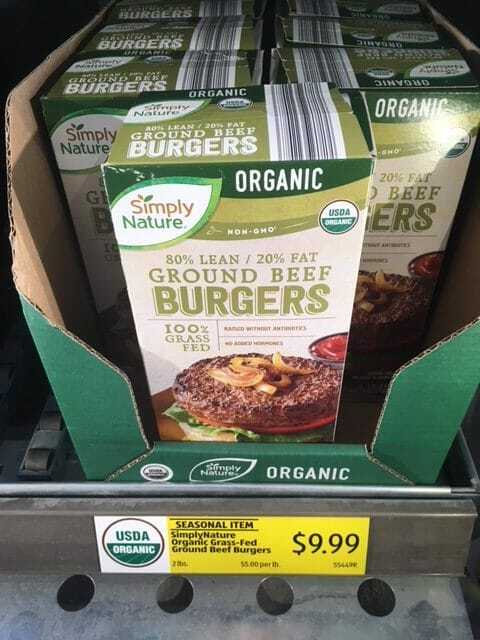 packages of their organic, 100% grass-fed burgers for $9.99, so just $5 lb.! I stocked up last time I was at Aldi, these are delicious on the grill!